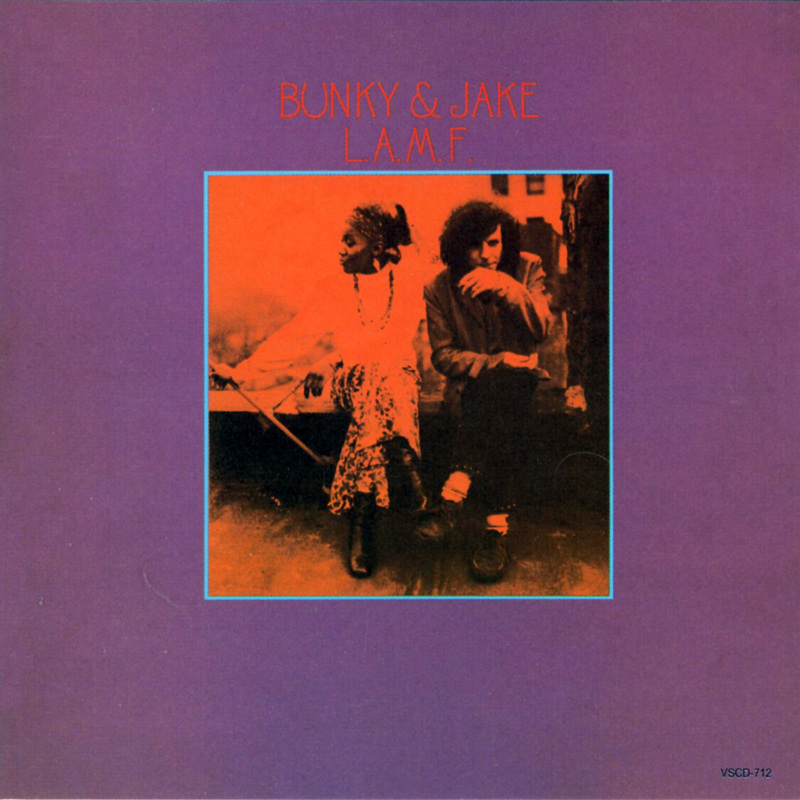 If you're looking for a group that embodies that mid-'60s hippy vibe, then you should find the eclectic Bunky & Jake right up your aural alley. For goodness sakes, how much more counter culture can you get than a young Jewish singer/guitarist teaming with a young, attractive, streetwise African-American woman; the pair deciding to name their second album "L.A.M.F"
Allan Jacobs (aka Jake) and Andrea Skinner (aka Bunky) met in 1962 when the pair were attending New York's School of Visual Arts. Discovering a common interest in music (they'd both sung in New York doo-wop groups), the pair started playing on the Greenwich Village coffeehouse circuit, attracting local attention. In 1965 Jacobs joined The Magicians who recorded a couple of singes before calling it quits. Following a brief turn with a late-inning line up of The Fugs in 1968 he resumed his partnership with Skinner. Later that year the pair auditioned some of their material for former Magicians managers Art Polhemus and Bob Wyld who signed on as their managers. With the addition of bassist Douglas Rauch and drummer Michael Rosa, in 1968 the group was signed by Mercury Records. Co-produced by Polhemus and Wyld, 1969's "L.A. M.F." was clearly influenced by their doo-wop and folk music roots, but was far more eclectic than what you would have expected from a bunch of New York-based folkies. Interestingly, while Jacobs and Skinner both had decent voices (the former occasionally sounding a bit like a dry version of John Sebastian), with the exception of 'I Am the Light' their voices didn't pair all that well. The good news was their vocals were so energetic and the arrangements so goofy, that it made up for whatever other shortcomings they exhibited. Musically the set was all over the place, giving the album a very contemporary "Ameicana" feel. Tracks like 'Big Boy Pete' highlighted their doo-wop roots, but the pair were equally comfortable with gospel ('I Was a Champion'), and more commercial pop and rock numbers like 'Uncle Henry's Basement' and a blazing cover of Chuck Berry's '(Slow Down Little Jaguar) County Line'. About all I can say is the results are disjointed, but fascinating. In 2004 the duo released a children's album Oo-Wee Little Children, on their own B'n'J Music label. Andrea Skinner died on Sunday, March 20, 2011 after a brief illness. In October 2012, Jacobs released a new collection of songs on a 16-song CD entitled A Lick and a Promise by Jake and the Rest of the Jewels.